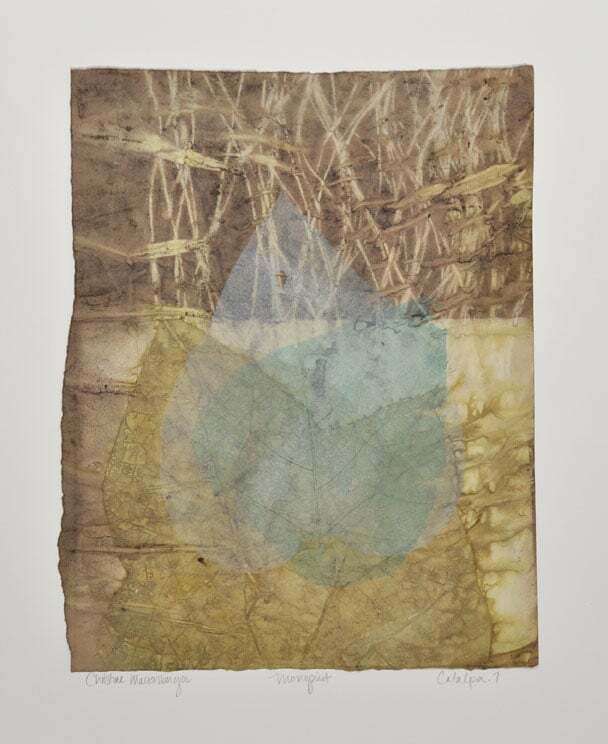 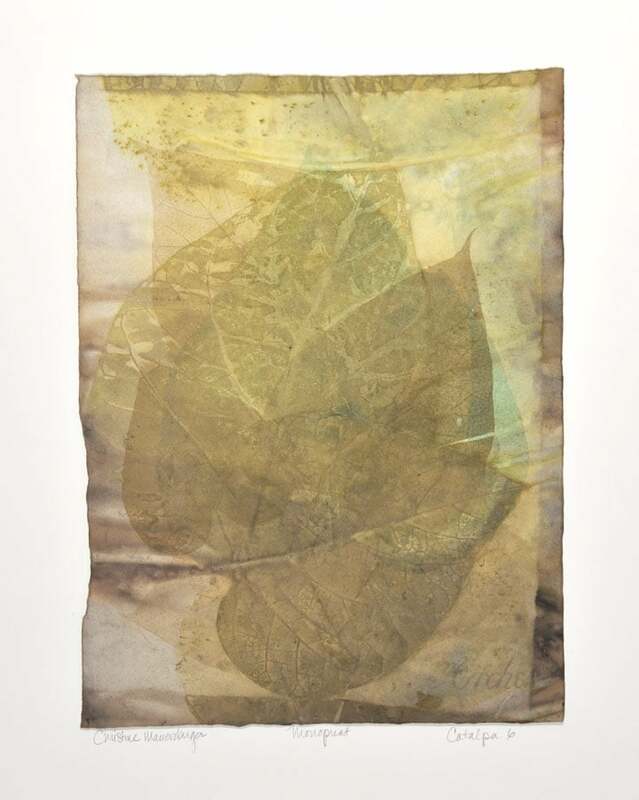 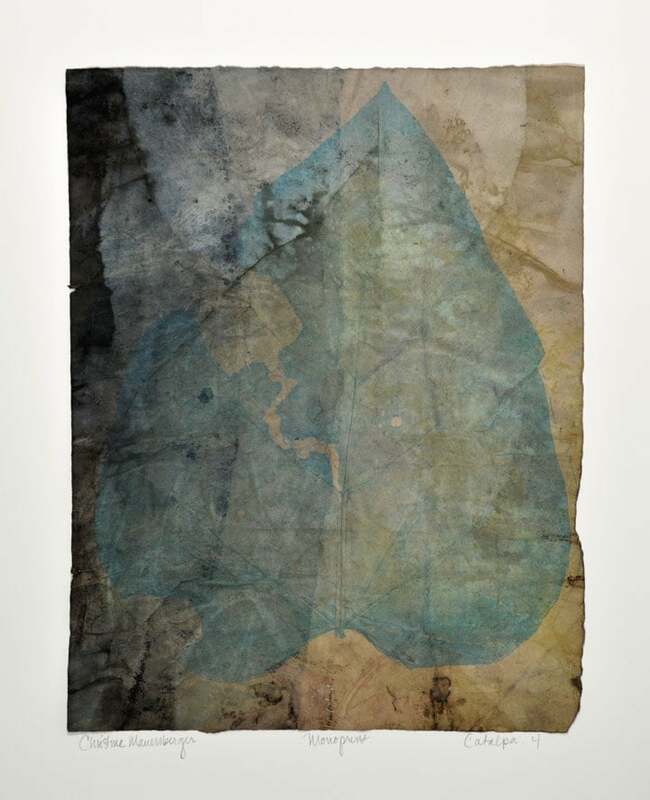 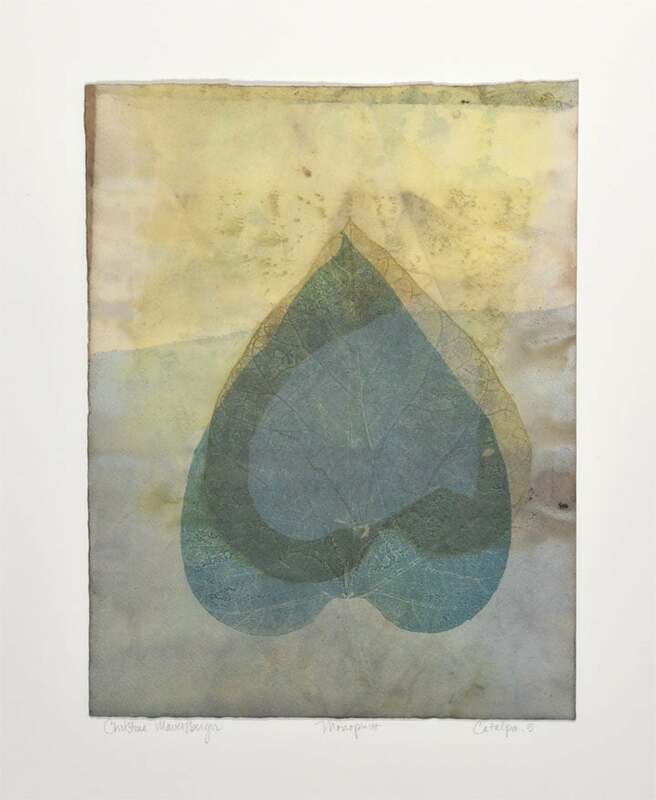 Monoprint on BFK paper, Natural dye from Catalpa leaf, Black walnut, Iron, Etching ink, hand stitching, 15" x 10.75", 2014. 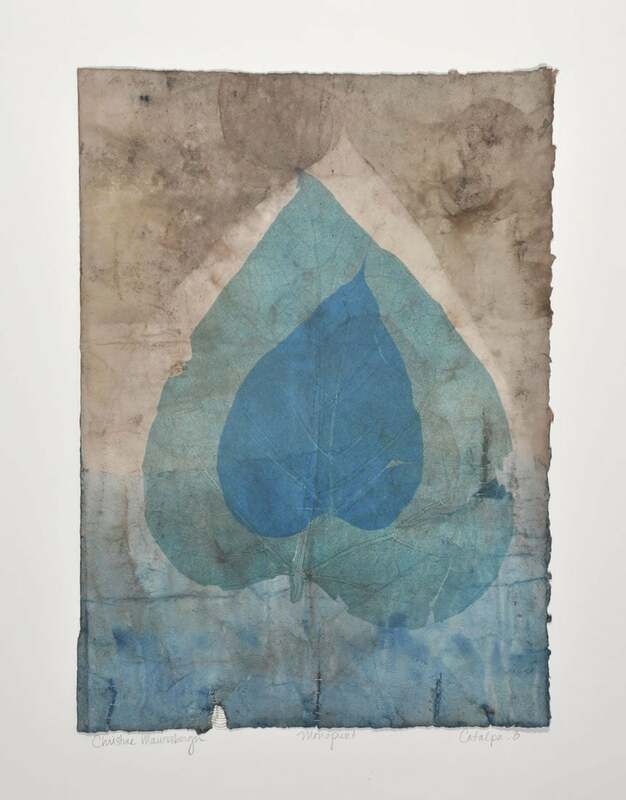 Call Still Point Gallery (216) 721-4992. 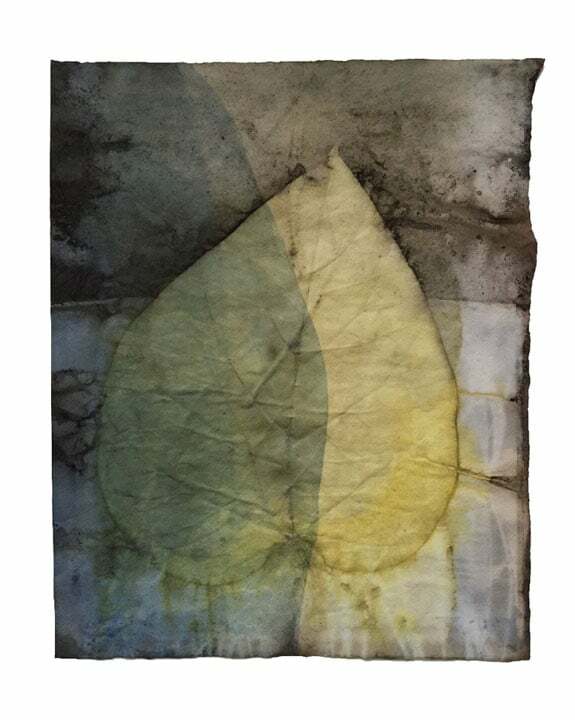 Still Point Gallery (216) 721-4992.